Its funny how when someone creates a faith- based movie critics seem to come out of no where with their critiques on if the movie is not “biblical” enough,reasons people shouldn’t watch these type movies and excedera. No one really questions the horror and gore movies we watch on television. Just our personal opinion sorry.Let’s get to our movie review shall we? The Young Messiah comes out on March 11, 2016 so we’re attempting to just generalize our review so we don’t spoil the movie for anyone by telling the movie’s full plot. Some have said that this movie was “Biblically inspired” and in a sense it is because the subject of movie subject of Jesus, “the Messiah” and His family. Most of you when you think of a Biblically inspired movie you think of movies like The Passion of the Christ or The Ten Commandments which seem to use a script directly from the Bible. 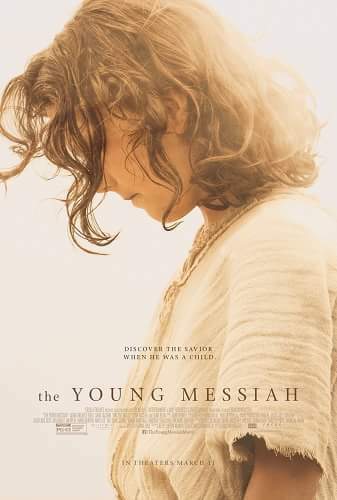 The Young Messiah however uses history and known facts of the Bible to complete the missing parts that we don’t know about Jesus childhood. and His death at the age of 33 years is in Matthew 27:32-56, and John 19. The Young Messiah knows that we’ve seen all of the movies where Jesus was snatched from Mary and beaten and crucified all while she watched..NO MOTHER wants to witness their child’s death. This movie shows the compassionate and protective side of Mary that we all can relate to as women and especially as mothers. In the Young Messiah we actually get a chance to witness a bond between Jesus and Mary. This movie is really graphic similar to the movie Passion of the Christ but not as much. As well as to be expected because it depicts the era that Jesus lived in. Please keep this in mind if taking young children under the age of 4 or five. This is a great movie and recommended for everyone to see!